If you have a home and you want everything to be secured, it is always a good idea that you invest in the right camera. A lot of people today are going after cameras whether they are protecting their residential or their commercial home. And this isn’t really an easy choice. You will have to consider many things before you could even get the best deal. What exactly are the things that you should consider? First, you have to make sure that you checked all the possible camera options out there. You have to understand that some cameras will give you blind spots in some areas. And for this reason, you will need multiple cameras in one room. You want to use the best cameras in order for you to not buy more cameras just to remove the blind spots. You also want to consider where you point the camera. Consider important areas and high traffic areas to be the ones that should be focused on. You want to evaluate if the area where the camera is pointed is a crucial spot on your property. For homes, it is usually the gates and the doors. There should also be cameras found inside the property in order to still monitor what goes on inside. The good news is that there are plenty of security camera options out there. Consider the different specifications of the camera in order to know which one you are going to have in certain locations of the property. 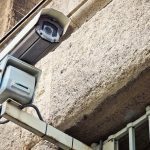 For instance, if you are going to monitor things outside the house, you want cameras that are not only weatherproof but you also want them to be able to take videos even at night. 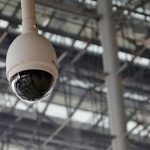 With these considerations, you will be able to invest in the right security camera whether it is outside or inside your home.